Now that you have the OCF-2, let’s take a look at it more carefully. Parts 1-3 on the first page are to be completed by the applicant. These parts are the easiest parts of the form. Part 1 requires that you complete your basic information such as your name, address, gender, telephone #, date of birth along with the name of the adjuster and insurer who you are dealing with for your accident benefit claim. You can locate the name of the insurer and adjuster you’re dealing with on their correspondence they’ve sent to you. If you don’t yet have that information, then don’t be too concerned as these details are easily accessible by your personal injury lawyer. Part 2 is often over looked because it’s so simple. All you need to do is print your name, add a signature, and date the form. That’s it! This part gets overlooked because it’s so basic and can be completed so quickly. If the injured accident victim isn’t able to sign because of the severity of that person’s injuries, the form can be signed by the injured party’s substitute decision maker (legal guardian, power of attorney, etc.). Ask your personal injury lawyer if you’re not sure who ought to be signing. Failure to sign this part of the form means that the form is INCOMPLETE! So, don’t forget to print your name, sign and date the form. If you’re not sure over what period you earned the most money (4 weeks vs. 52 weeks), simply check both boxes on the form to ensure that the insurer calculates your greatest income earning period of the two. The higher your income calculation, the higher your income replacement benefit. So, it’s in your best interest that this calculation goes in your favour. Here’s the deal: Insurers are very TOUGH on self employed individuals. When an insurer sees on the OCF-2 Employer’s Confirmation of Income Form that you are self-employed, alarm bells go off. Are you being truthful about the amount of income you’re reporting? Are you over reporting so that you can claim a higher income replacement benefit? Was your business profitable to begin with or not? This accounting exercise can be excruciating, especially if the injured party didn’t keep such good financial records. At the end of the day, the insurer doesn’t trust anything. Every little step when it comes to income needs to be proven, and no piece of evidence ever appears to be good enough or sufficient for the insurer and their accountant. I have never met a forensic accountant who did work on behalf of an insurer who was ever satisfied with the financial documentation provided to them. Unfortunately, in modern day accident benefit disputes, the calculation of income replacement benefits has become ROCKET SCIENCE. The production to tax returns and the completion of the OCF-2 Employers Confirmation of Income Form just isn’t enough; especially for those self employed individuals. If you’re a contractor, get ready for a huge fight. The balance of the OCF-2 Employers Confirmation Form is to be completed by your employer. This is generally done by the manager, controller, somebody in human resources, or somebody in accounting (Bookkeeper). Check the OCF-2 once its been completed to ensure that there are no errors. I have seen bookkeepers put in the wrong employee’s details on the form resulting in a lower IRB payment to the injured accident victim. 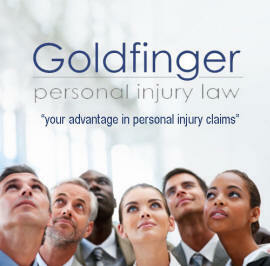 These mistakes happen, and it’s up to nobody else but you and your personal injury lawyer to spot them.